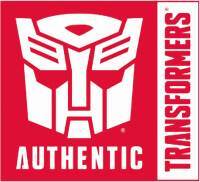 With special thanks to Hasbro toy distributors in Sri Lanka and South America, we have learned the Street Date for Transformers: Bumblebee movie toyline. Slated for a Halloween Release, the toyline will hit shelves on Wednesday, October 31st. Of course it’s not unusual to see the line, more than a month earlier than the movie. Transformers: The Last Knight toyline was released on April 24th, 2017 against its June 20th premiere date. This new release date also reflects the same time gap. Note (*): Stinger Blaster is compatible with Bee Vision Mask. We will update you all with all the info we receive over time. Until then, make sure to save up for the upcoming toy releases. We have received a word that Hasbro will showcase their upcoming toys for Transformers: Bumblebee movie, at the 2018 Licensing Expo. This of course is not the first time Hasbro placed them on display this year. The toys made their debut a week before UK Toy Fair 2018, where the company held a private event to several prominent journalists, which was then followed by a secret booth at the UK Toy Fair for the investors, potential license holders, distributors and retailers in order to generate some buzz (pun intended) for the line. The movie toys appeared for the third time at another secret booth during Australian Toys And Hobby Fair. 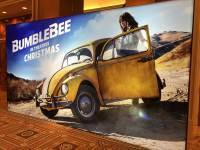 While we do not know whether the movie toys will receive another Secret Booth Treatment, but if you are stopping by the Las Vegas Licensing Expo, make sure to make a beeline (again, pun intended) towards Booth: South Seas Ballroom E – Level 3 to check out the toys from Bumblebee: The Movie. If 2014 and 2016 were any indication, the new toys will be on display openly to anyone who attends. Other than that, Hasbro will be showcasing a huge line up of Nerf toys as well as My Little Pony, Littelest Pet Shop, Magic: The Gathering, Monopoly and several other Hasbro Gaming game titles. For Hasbro, the cherry on top of the cake would be the induction of their CEO Brian Golder into the LIMA Hall Of Fame. You can read more about it through our previous news post for the event. Licensing Expo 2018 will be held from May 22nd to May 24th at the Mandalay Bay Convention Center, Las Vegas. News Post image courtesy: Kobby Dagan at Dreams Time.